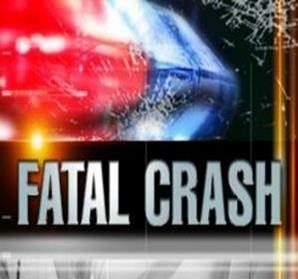 PALMDALE – A 33-year-old man was killed early Monday morning when the pickup truck he was driving crashed on the Antelope Valley (14) Freeway in Palmdale, authorities said. The crash was reported at 2:49 a.m. Monday, April 1, on the northbound 14 Freeway just south of Avenue O, the California Highway Patrol said. According to the CHP, the man was driving a 2006 Dodge Ram pickup truck that crashed into the center median guardrail and overturned. The man was pronounced dead at the scene, the CHP reported. His name is being withheld, pending family notification, but he was a 33-year-old man from Canyon Country, authorities said. “Alcohol and/or drugs is suspected to be a factor in this collision,” a CHP statement said. Anyone with information on this collision is encouraged to contact the CHP Antelope Valley Area office at 661-948-8541. 1 comment for "Man dies in solo vehicle crash in Palmdale"
Mr. Canyon Country’s last party.